The Green Party has welcomed plans for an area-based approach to the expanded Cork City Council after 2019, but warned that these must be more than toothless local committees. The party expects there will be six local areas in the expanded city, including a city centre ward. Plans for an area-based approach to local government in the city are included in the terms of reference for the Cork Local Government Implementation Oversight Group. The group will oversee the extension of the city boundary recommended by the Mackinnon report in June of this year. The first task of the group will be to prepare a detailed implementation plan to be completed by September 2017. 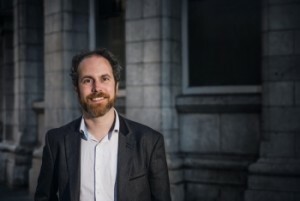 The plan to move to an area-based approach was first put forward by Cork City Council in their submission to the Cork Local Government Committee in 2015. Mr Moran was a vocal opponent of the 2015 report that recommended the merger of Cork city and county councils. That report has since been overturned.